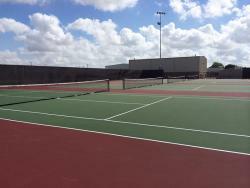 Alfaro Oil and Gas Co. 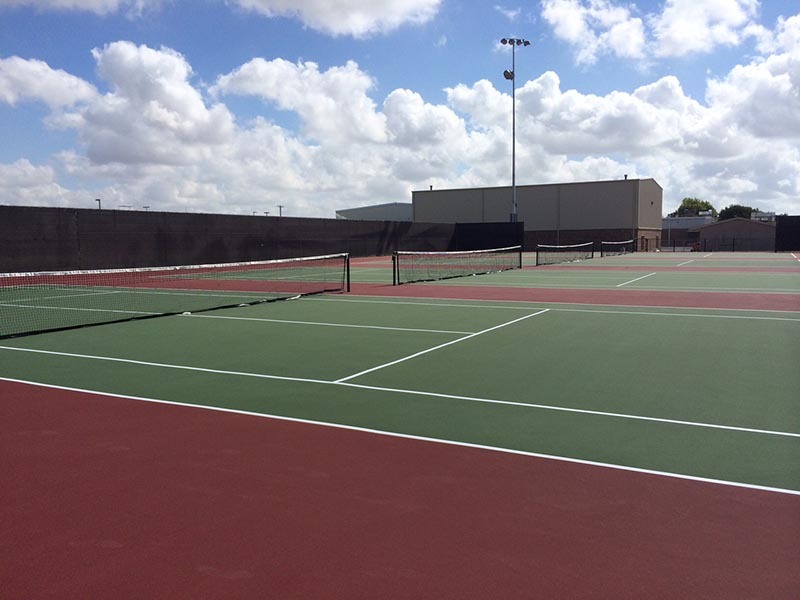 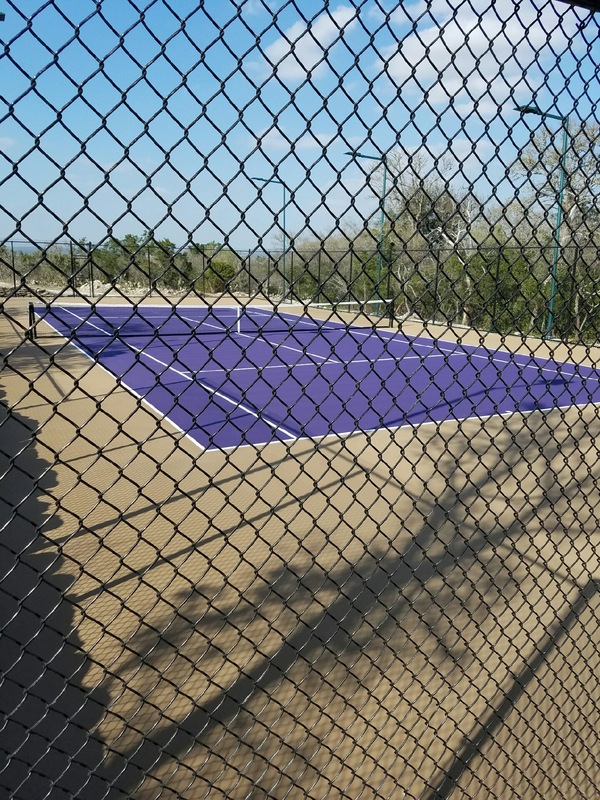 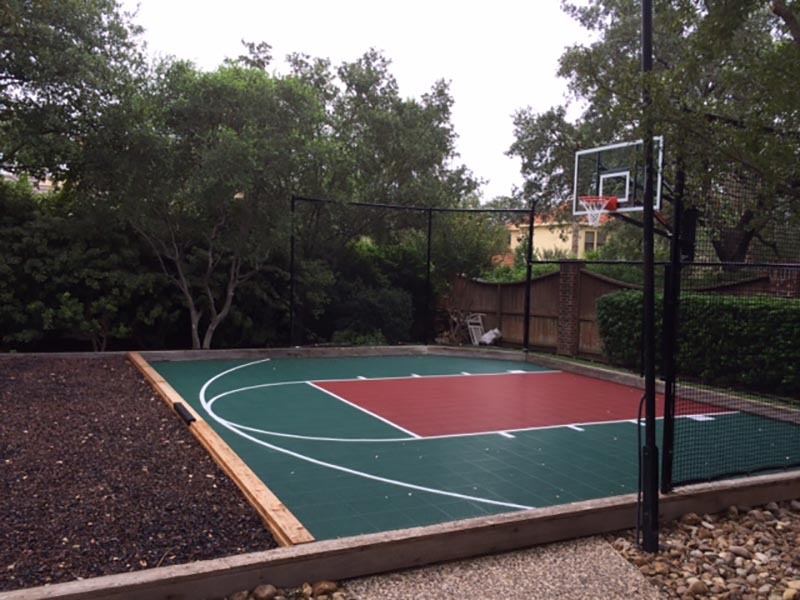 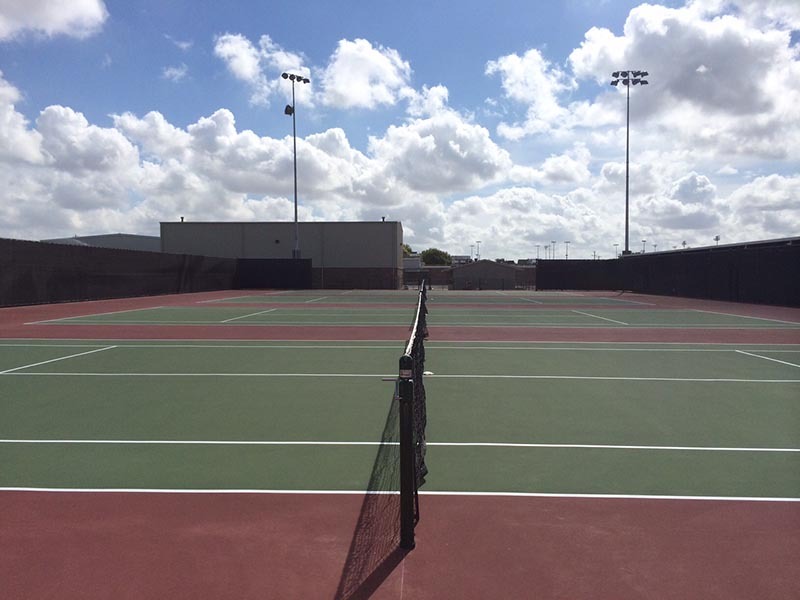 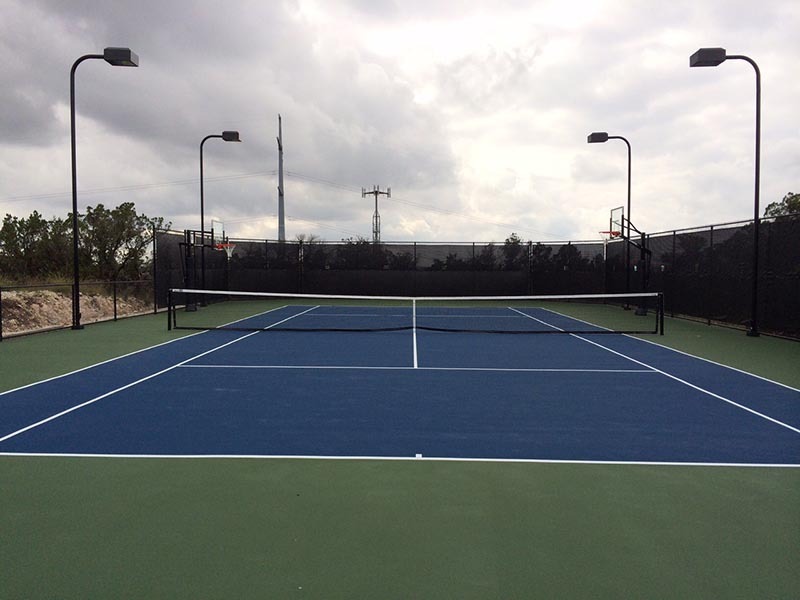 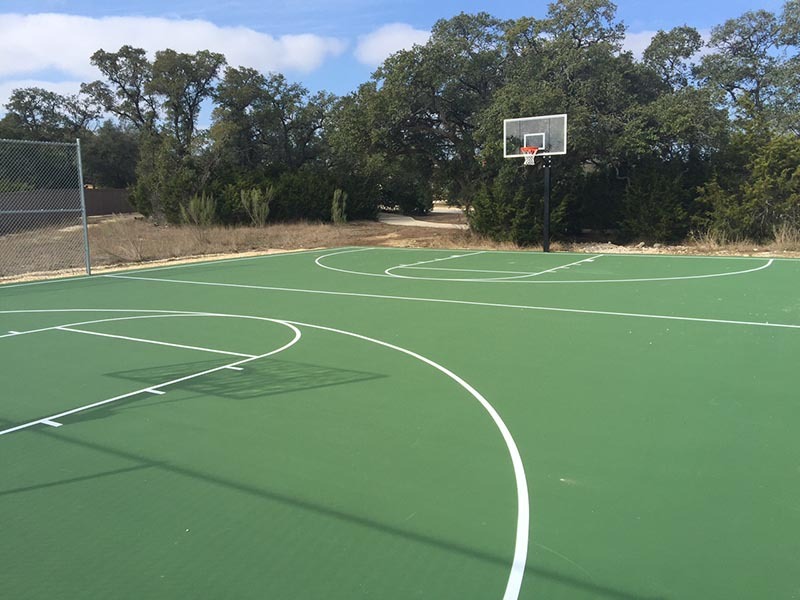 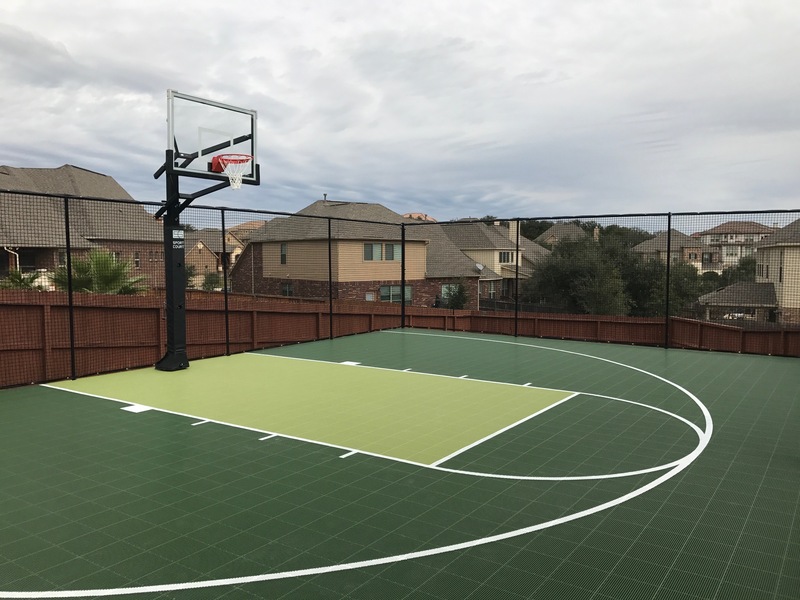 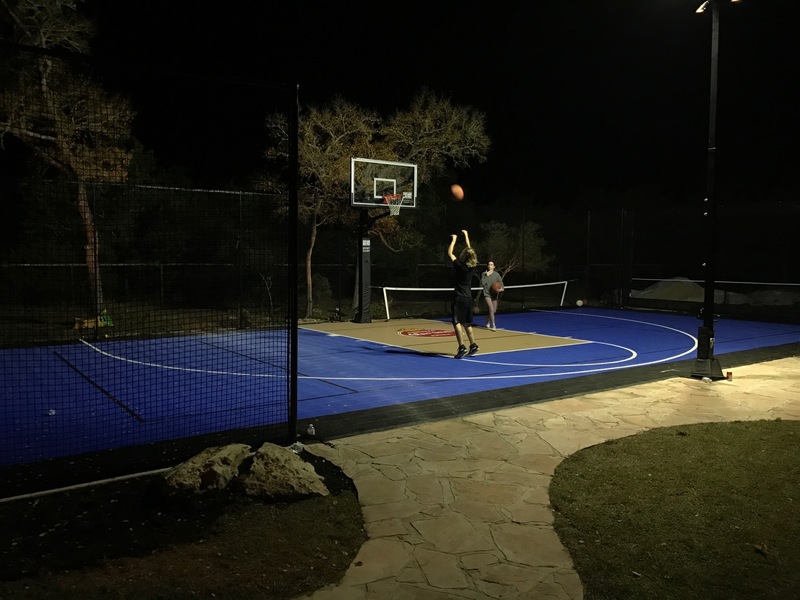 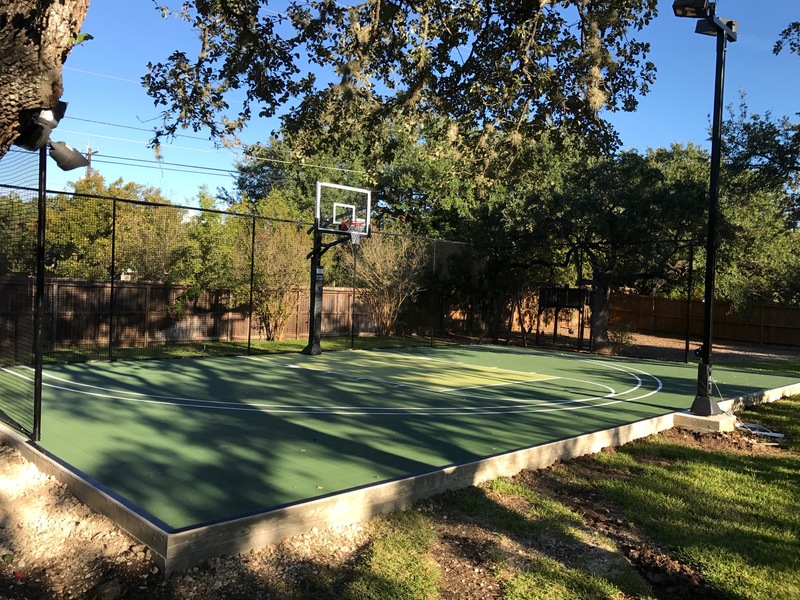 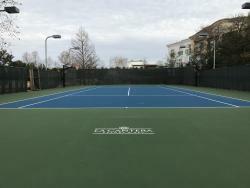 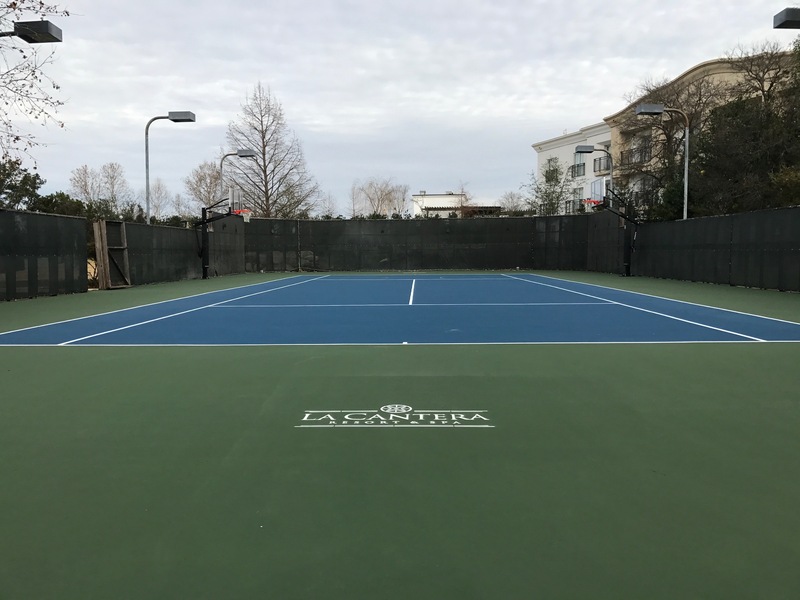 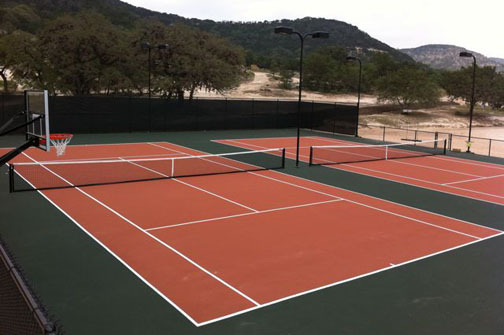 Whether you have a general contractor, or you need full construction capability for a commercial tennis or basketball court, Grand Slam Courts can provide the expertise, experience, and the finest quality materials available to build a low-maintenance court that will last for years. 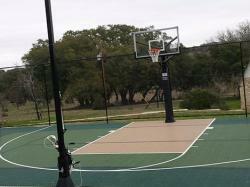 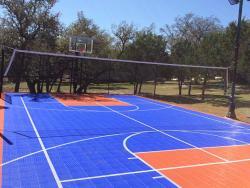 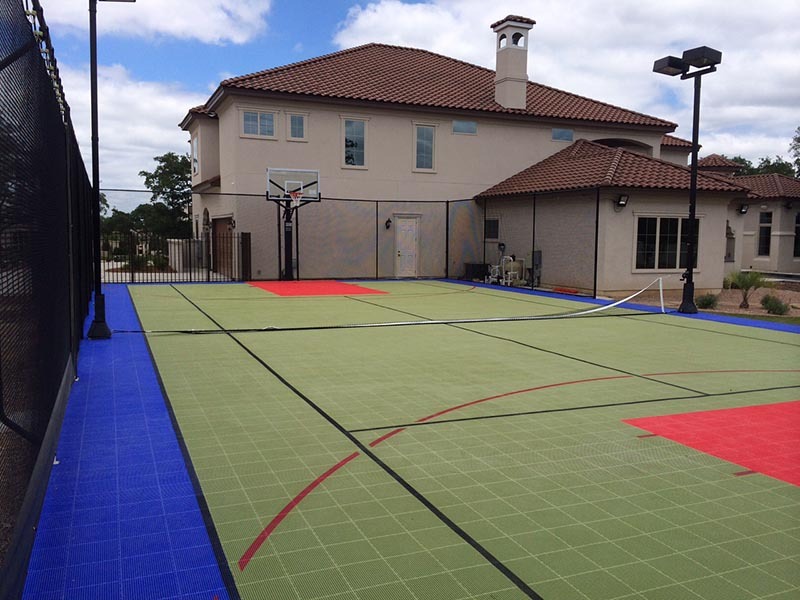 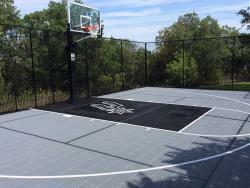 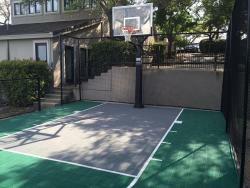 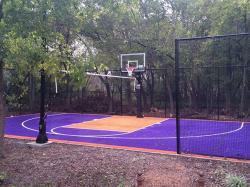 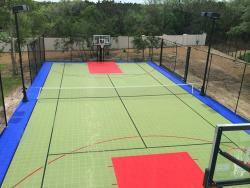 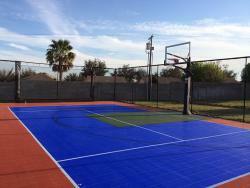 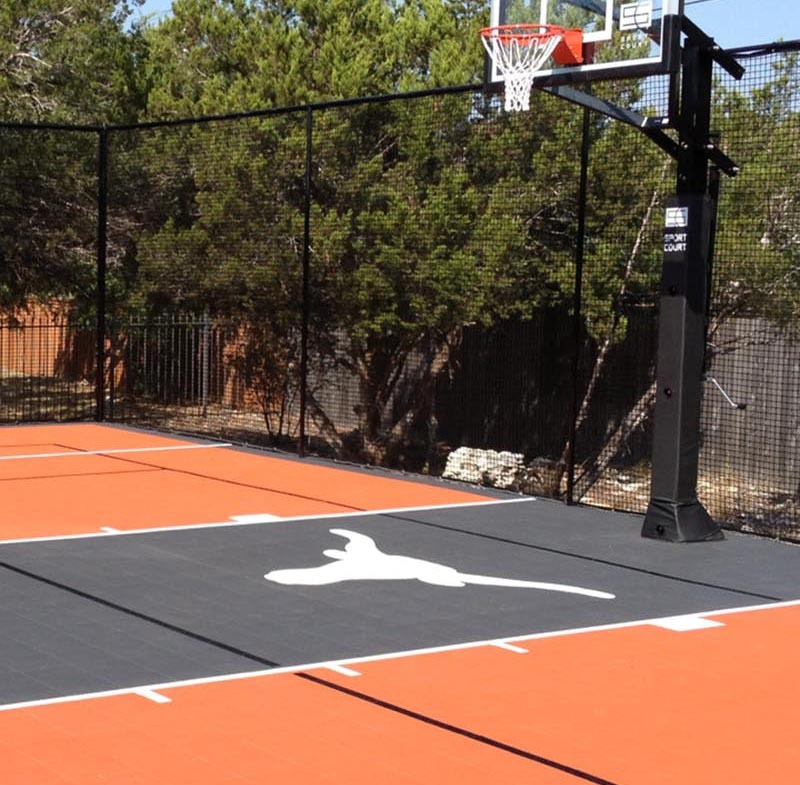 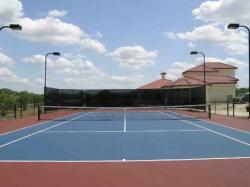 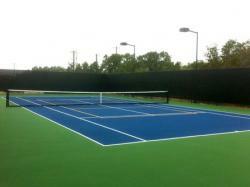 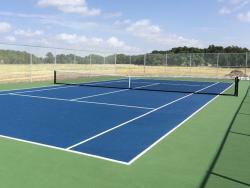 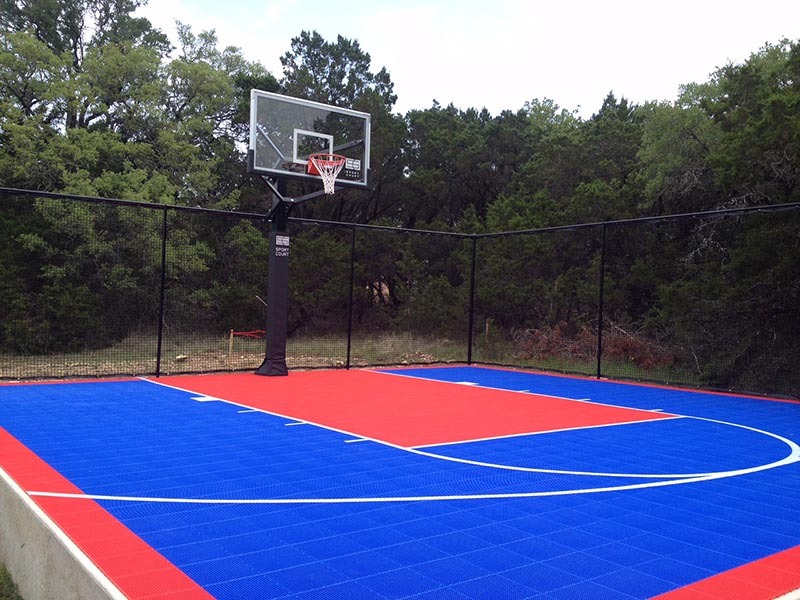 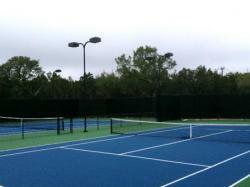 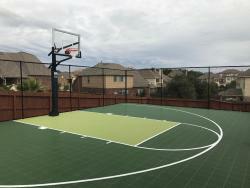 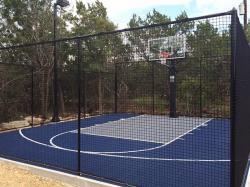 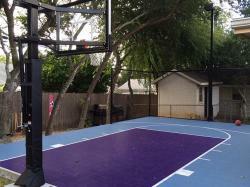 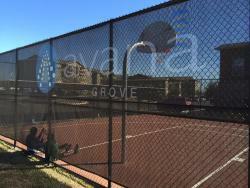 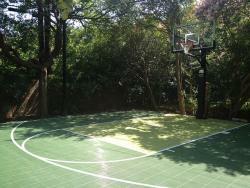 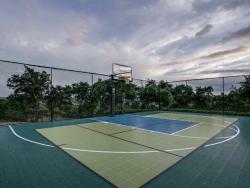 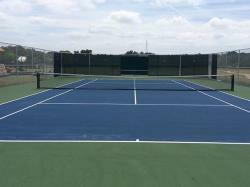 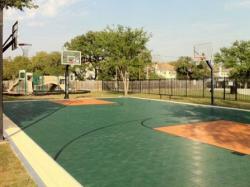 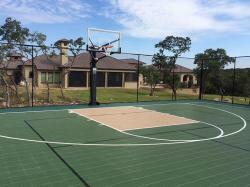 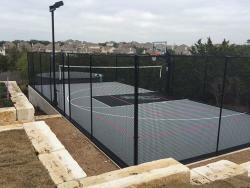 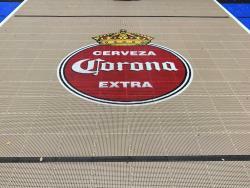 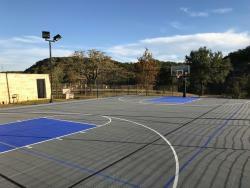 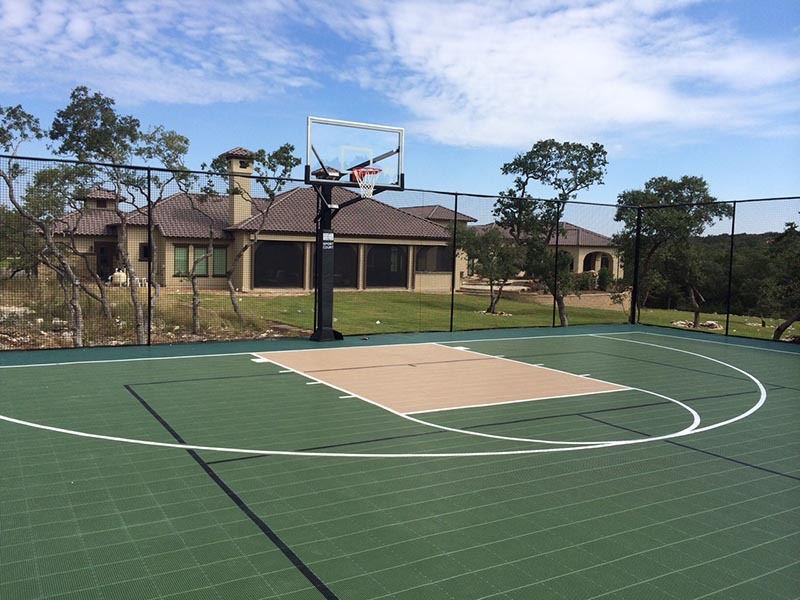 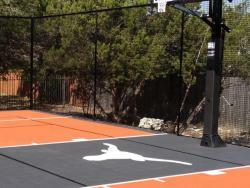 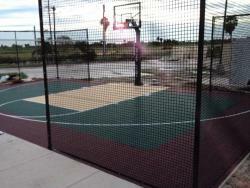 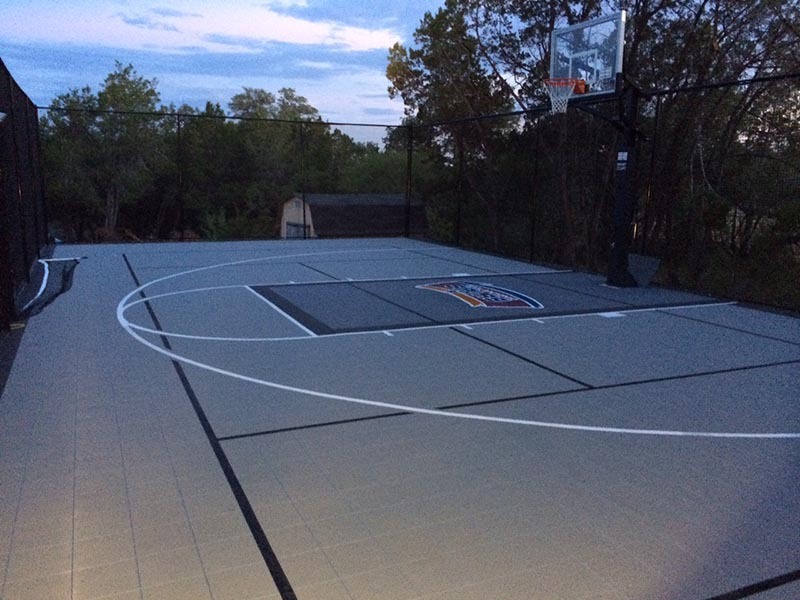 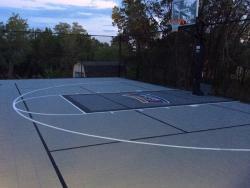 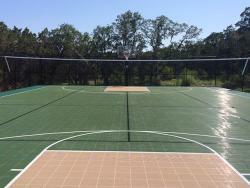 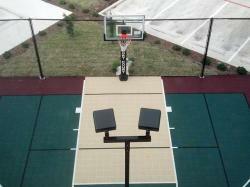 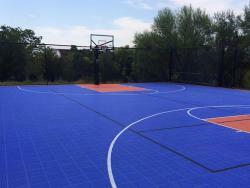 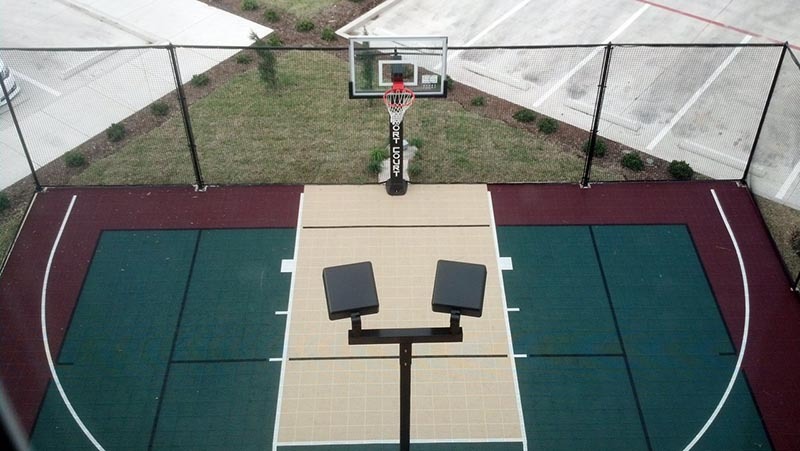 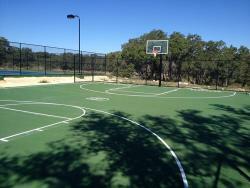 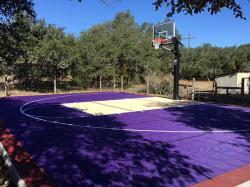 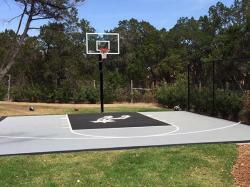 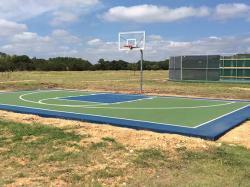 Grand Slam Courts builds both acrylic-surfaced courts and Sport Court® brand modular courts. 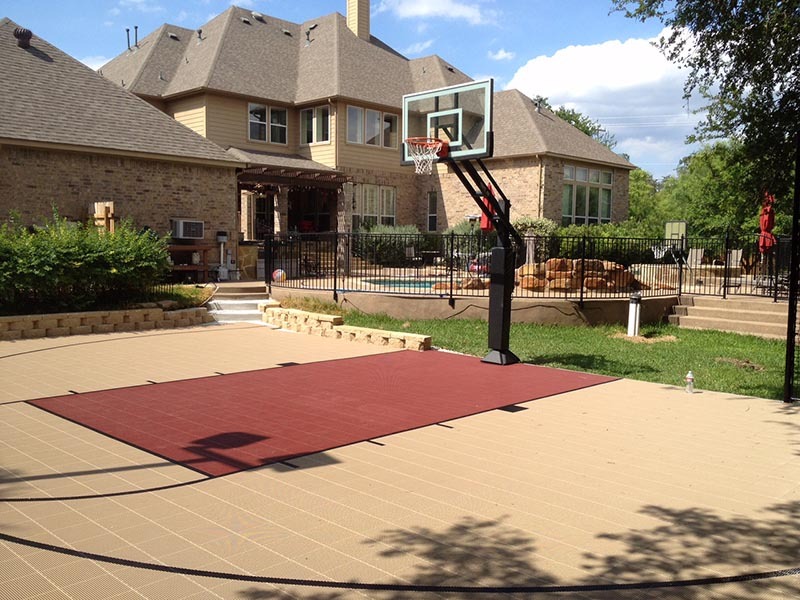 We can help you choose the best surface for your needs. 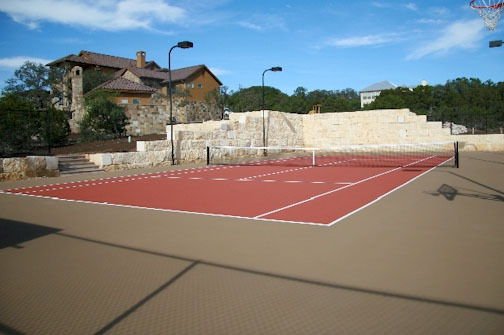 To minimize surface cracking in acrylic courts we recommend using post-tension cables spaced throughout the slab. 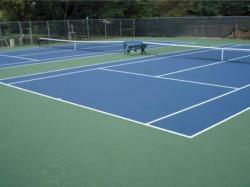 We use 3000 psi concrete conveyed by a pump truck, so as not to disturb the post-tension cables. 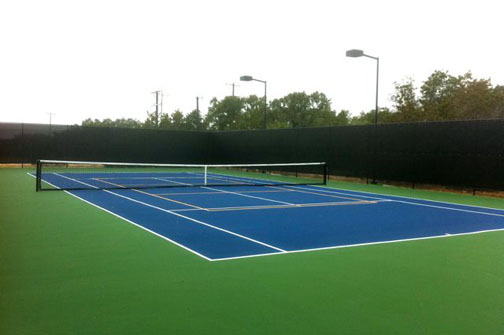 Our acrylic courts are constructed to provide 1 inch of slope for every 10 feet of surface. 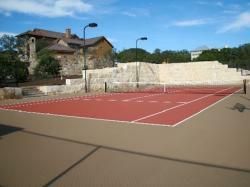 Proper slope and drainage are crucial for quality performance and for the longevity of your court. 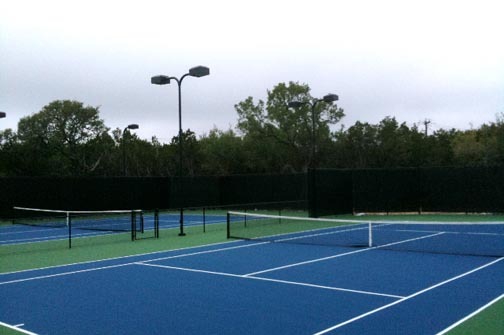 We check our courts to ensure that they do not hold more than 1/8-inch of water in any area. 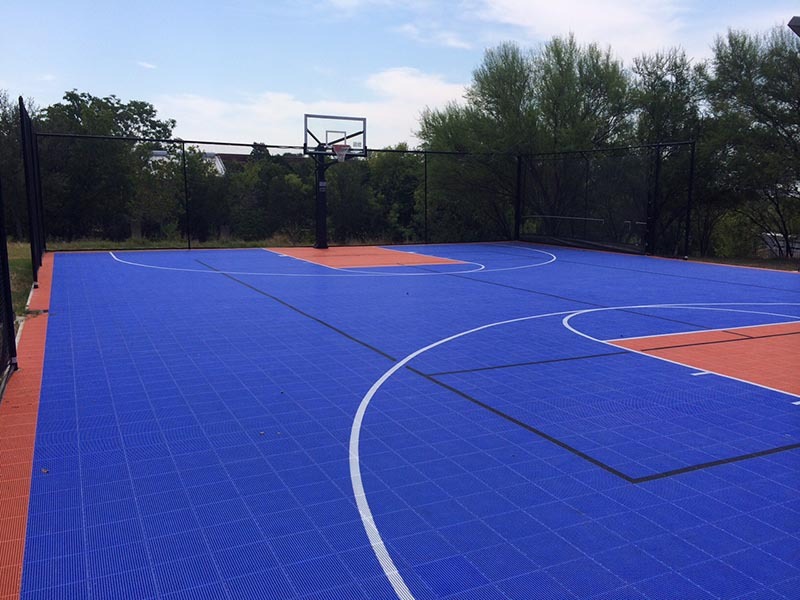 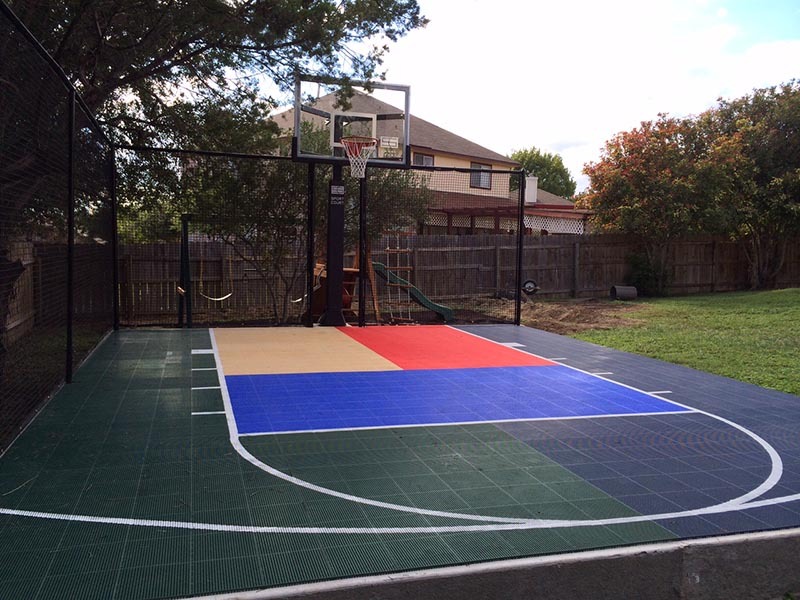 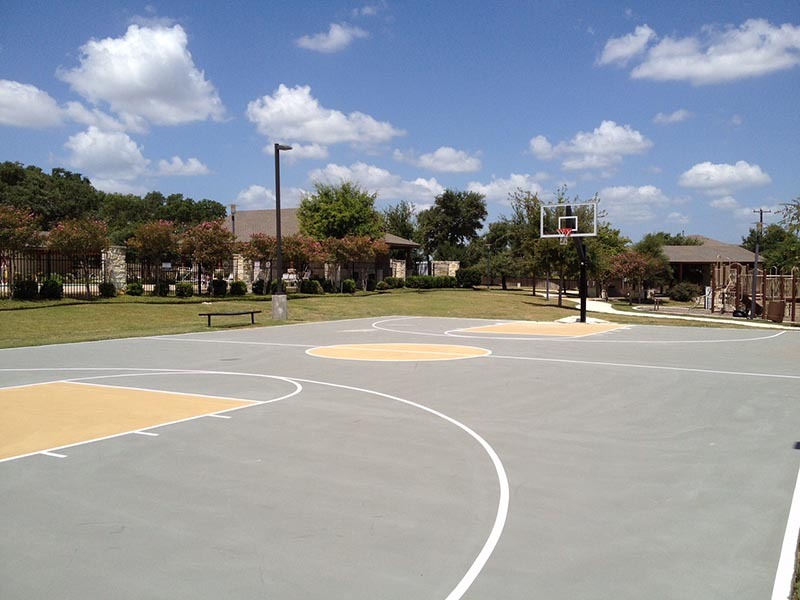 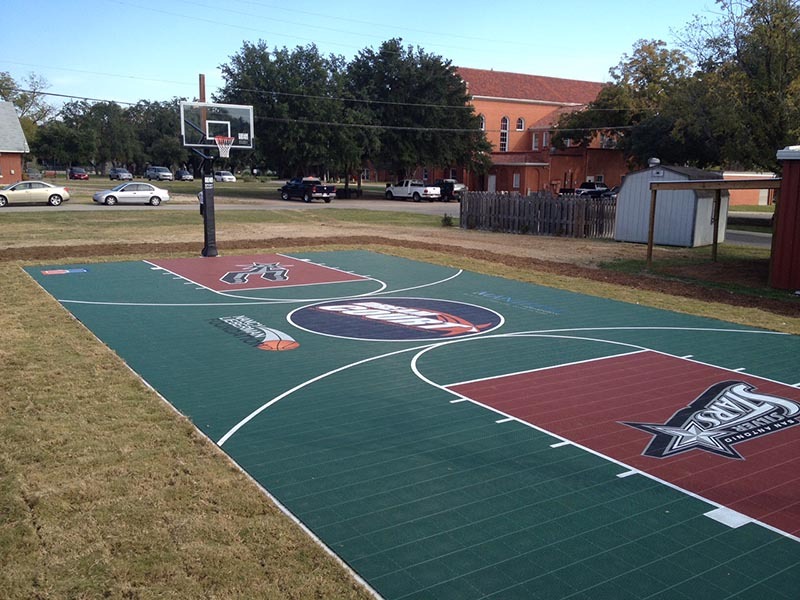 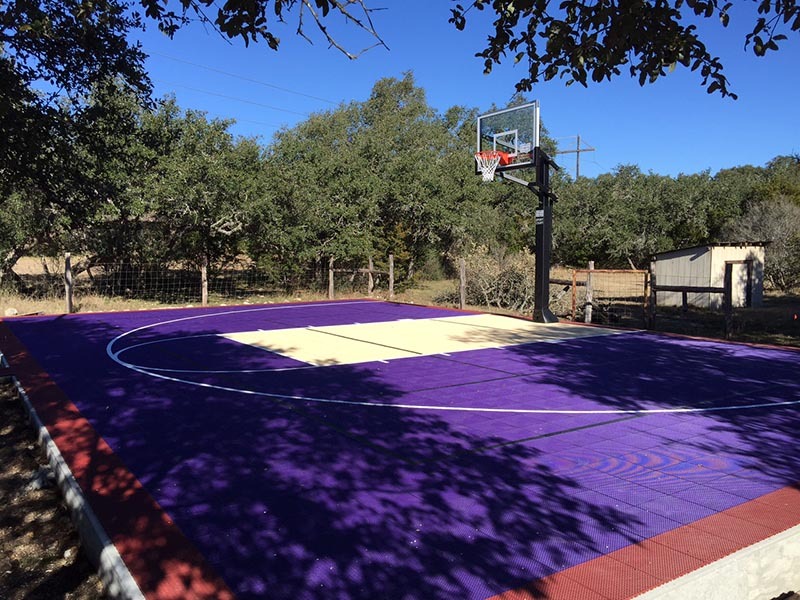 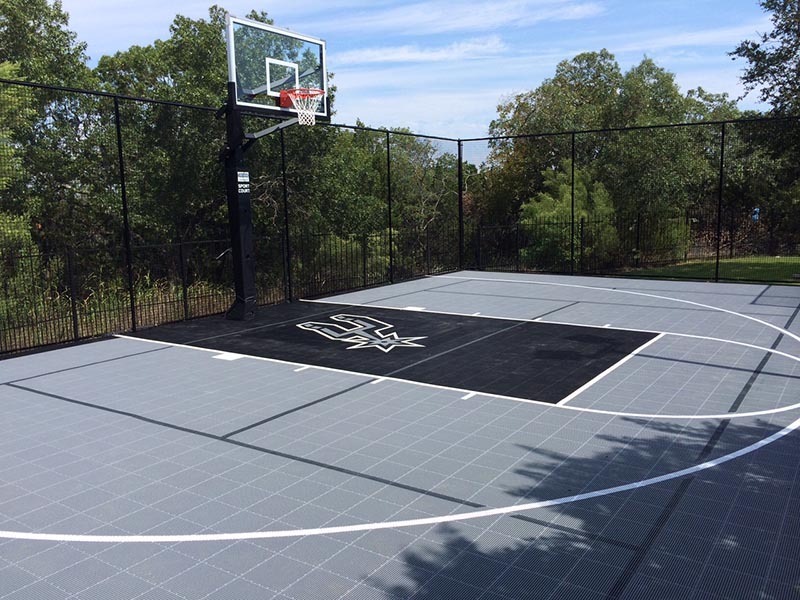 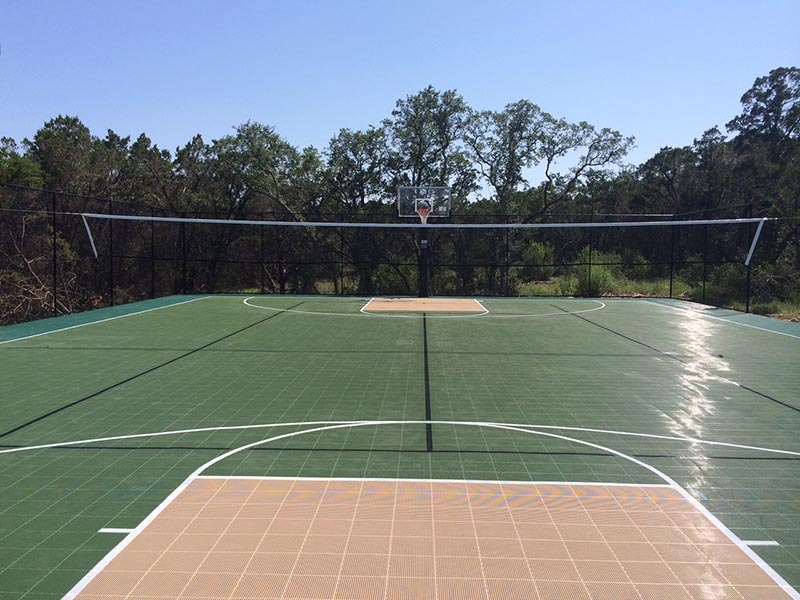 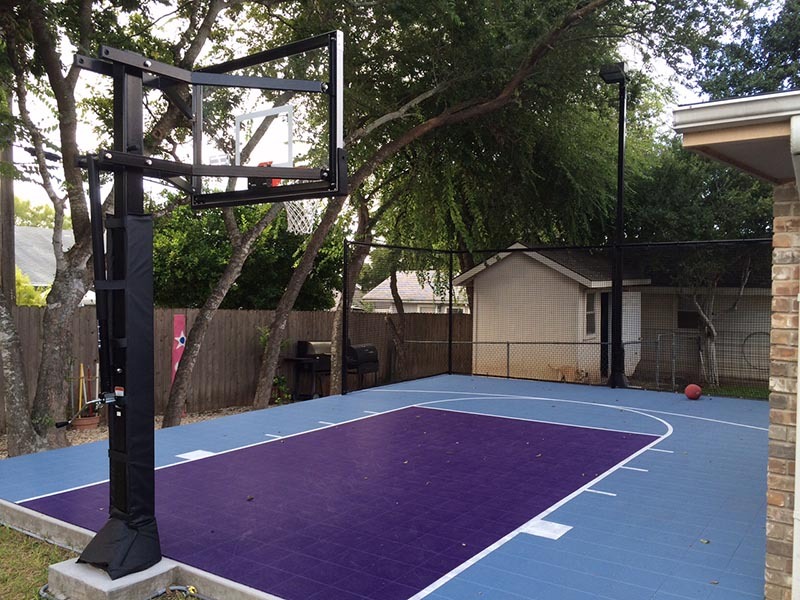 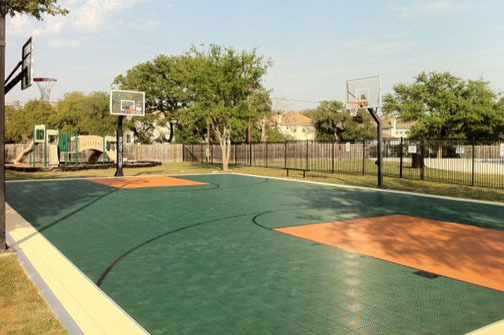 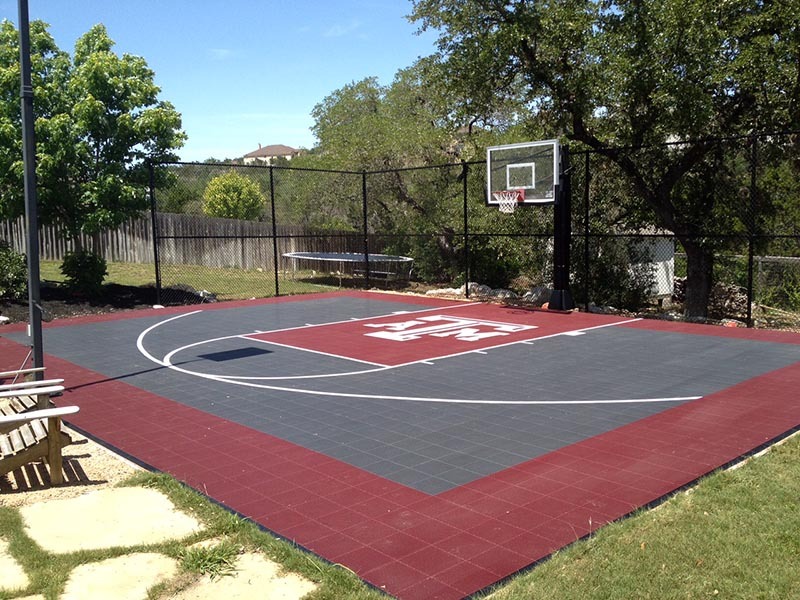 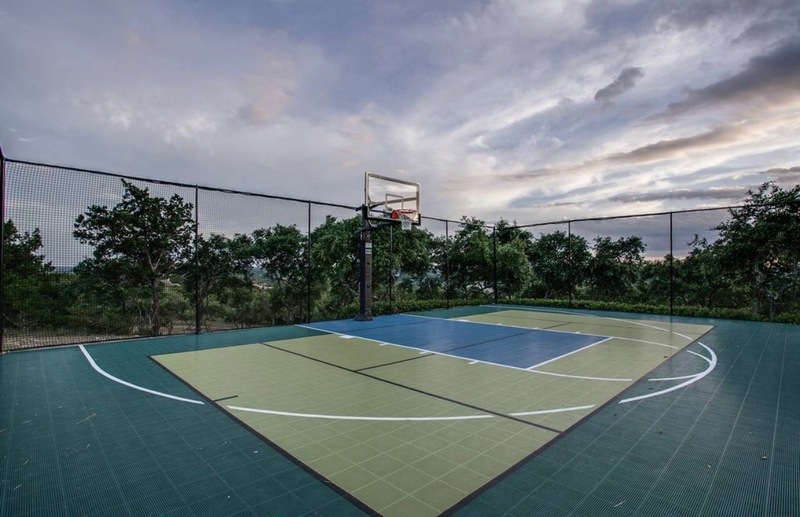 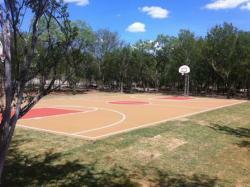 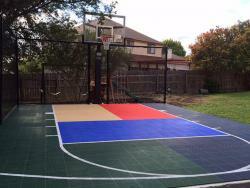 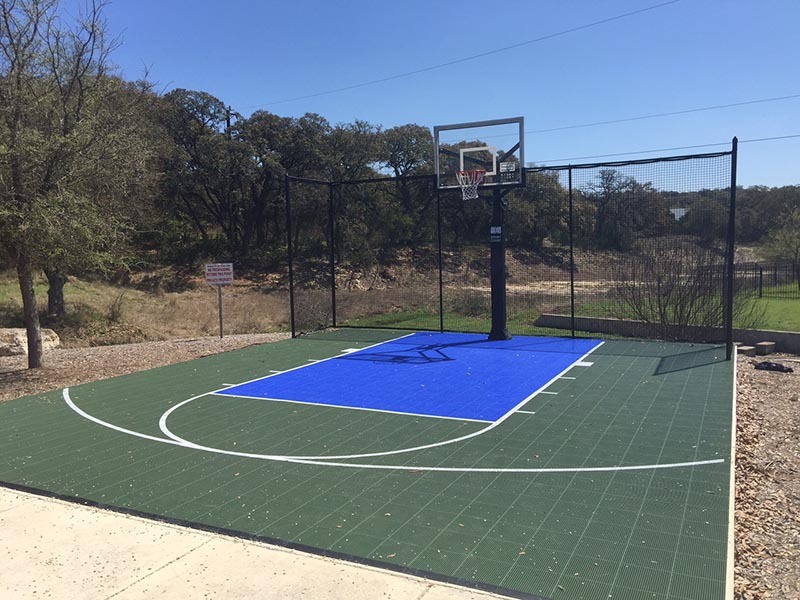 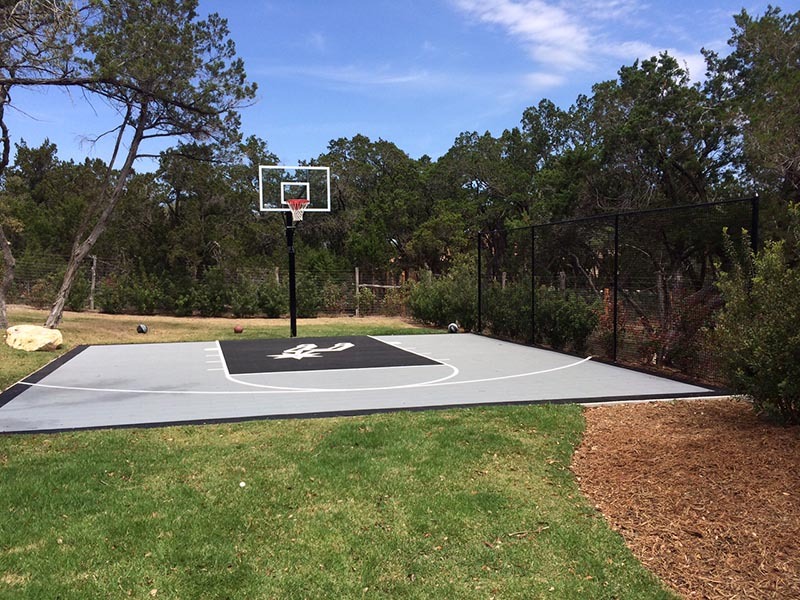 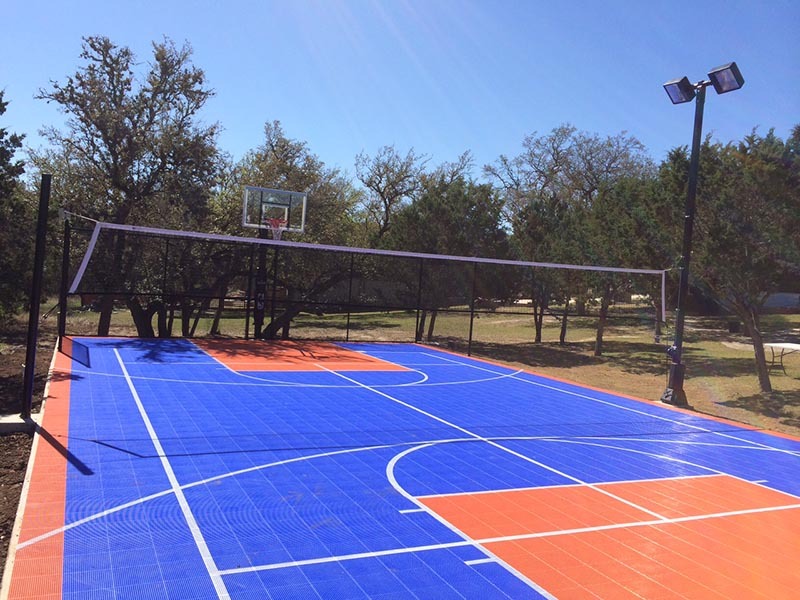 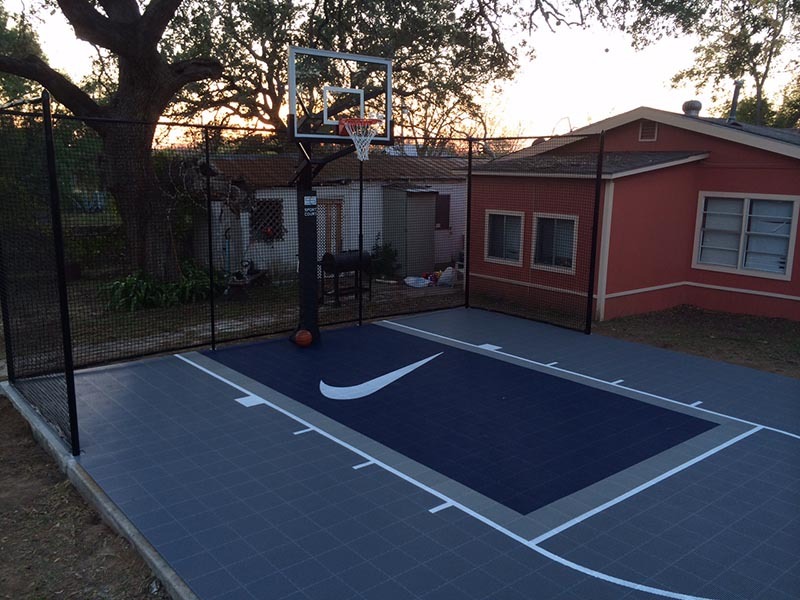 Sport Court® brand courts avoid surface cracking by utilizing modular athletic tiles. 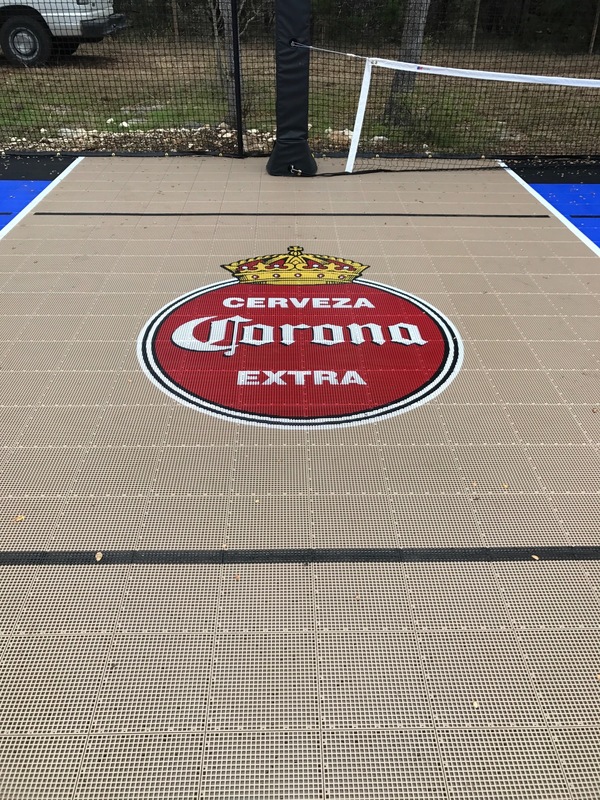 As a result, we need only use a traditional monolithic concrete slab with either wire mesh or rebar reinforcement as a foundation for the tiles. 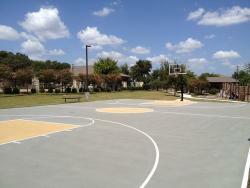 These courts' slabs have a perimeter beam, as well as a minimum of 4 inches of 3000 psi concrete. 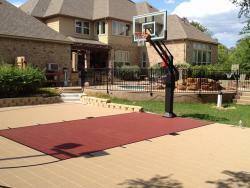 Depending upon ground elevations, perimeter beams will have a minimum of 6 inches of concrete. 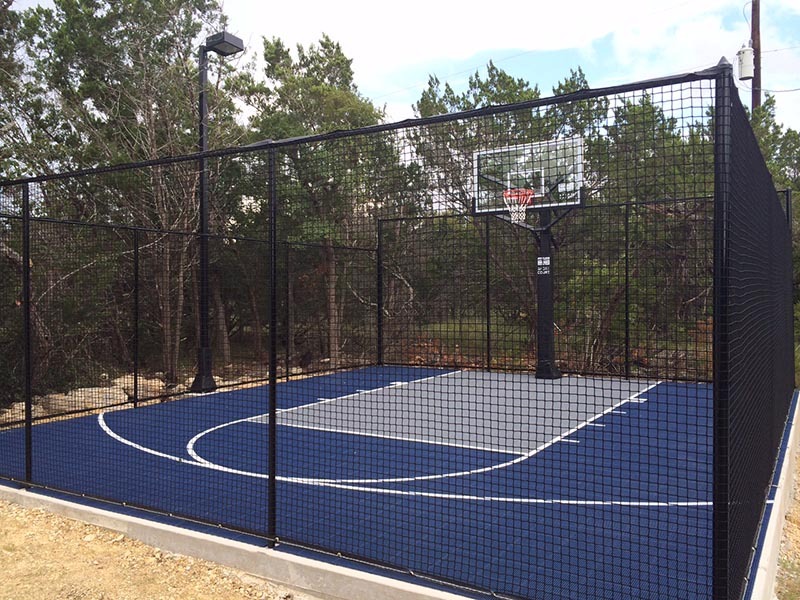 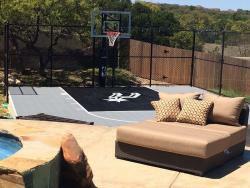 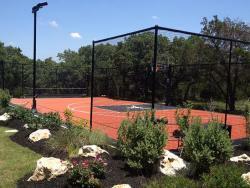 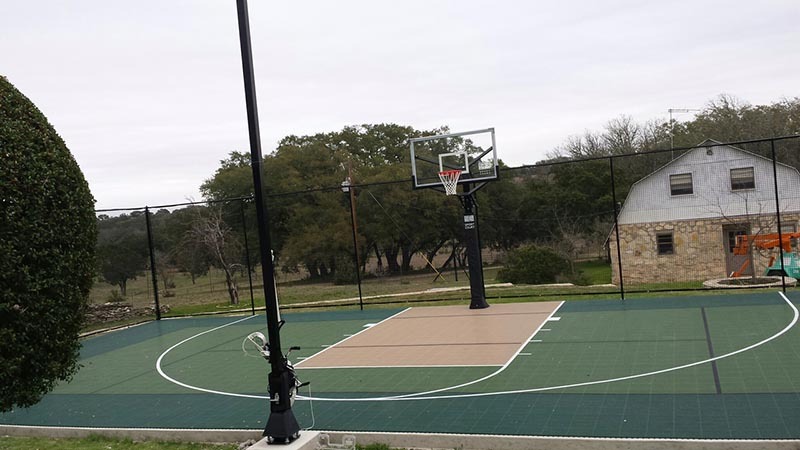 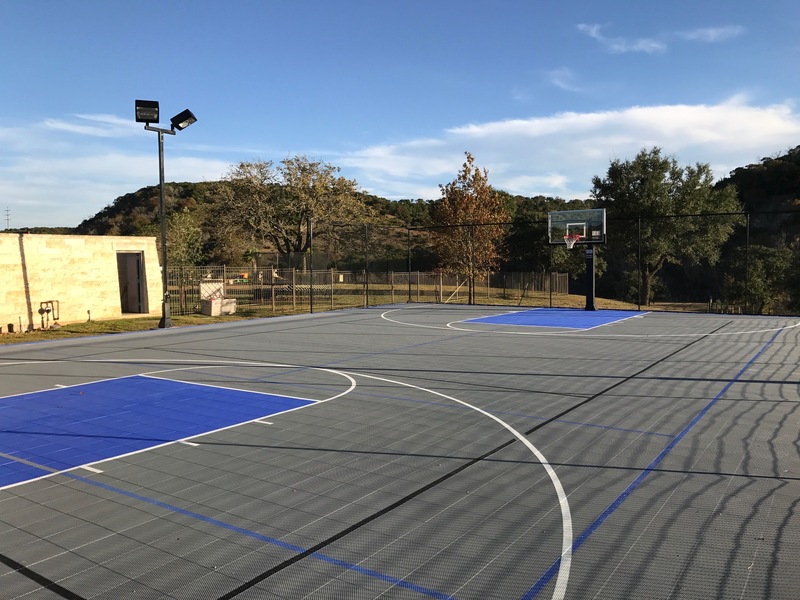 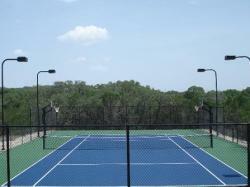 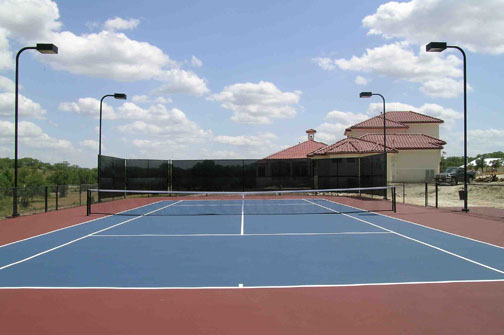 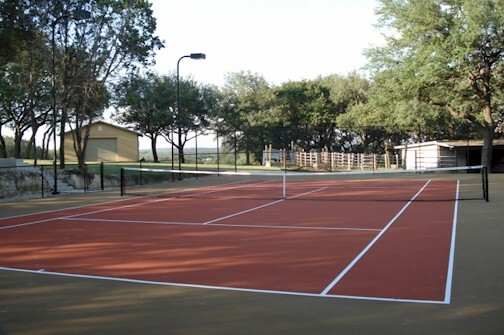 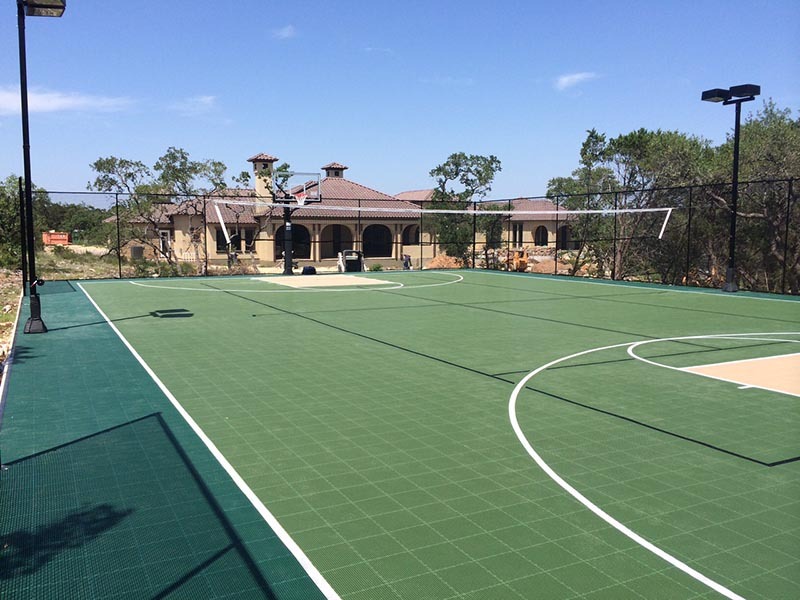 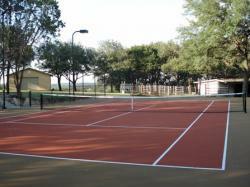 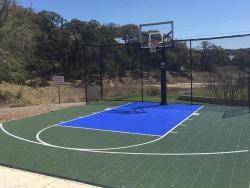 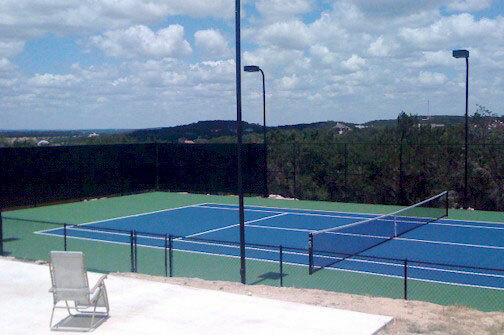 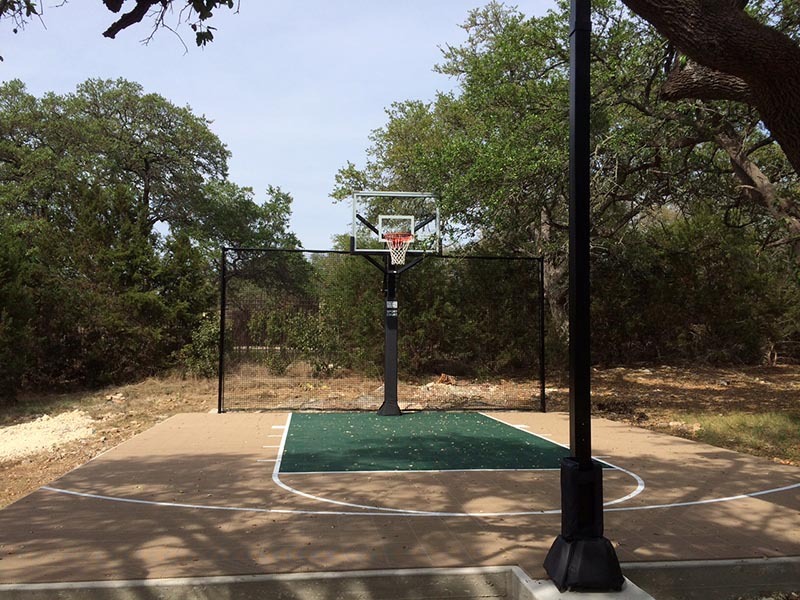 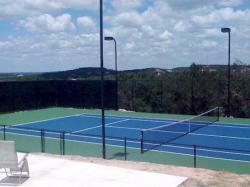 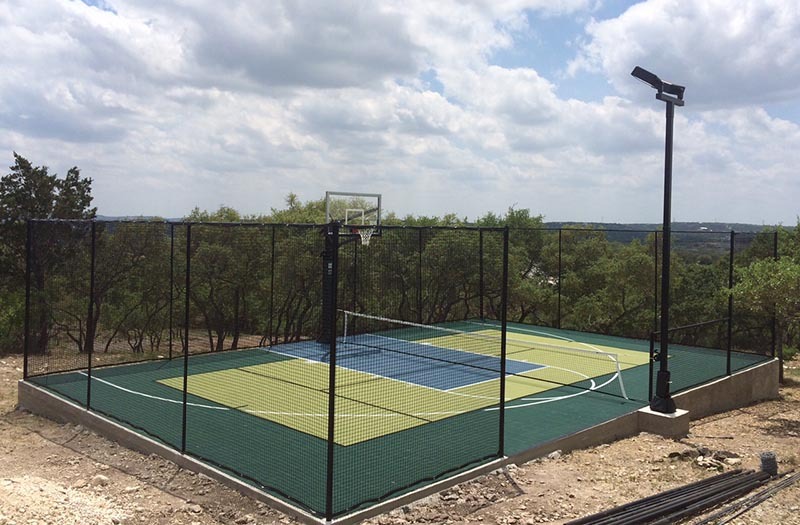 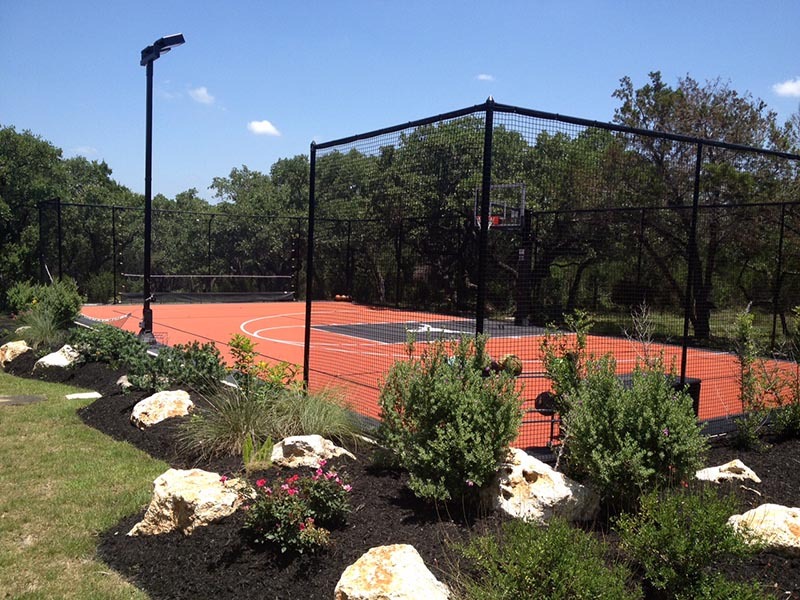 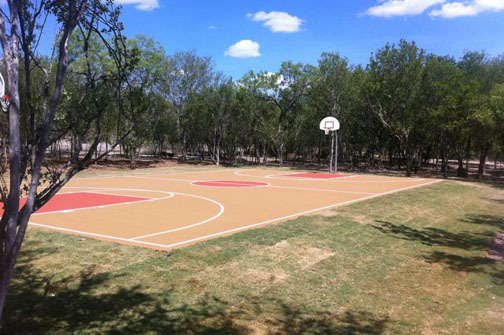 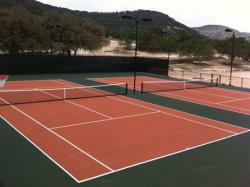 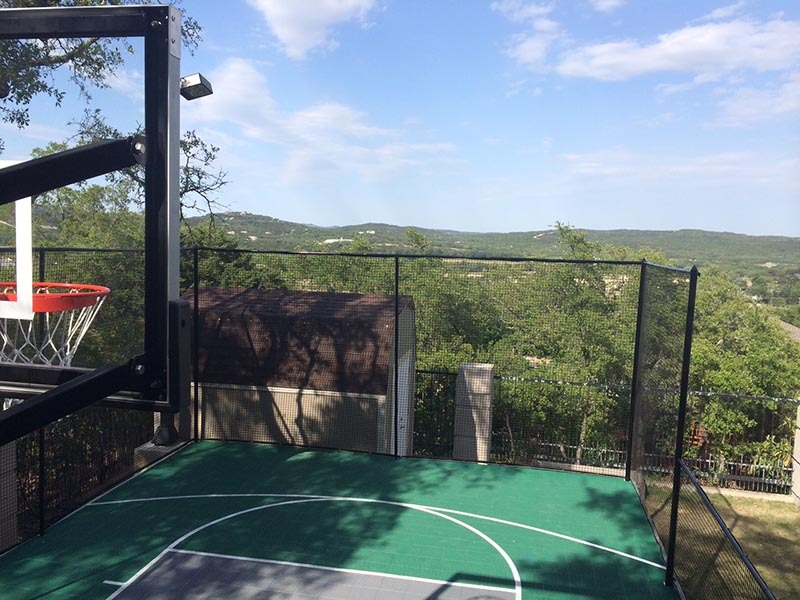 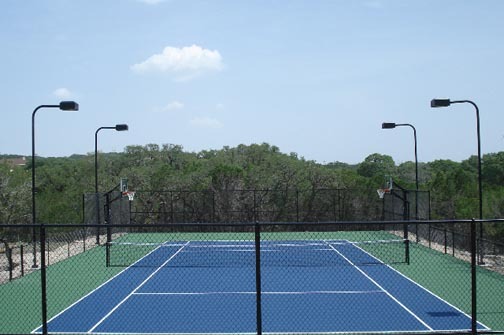 Because of the unique soil and elevation conditions in the Texas Hill Country, Grand Slam Courts has built many courts that use 2 feet or more of concrete in the perimeter beams. 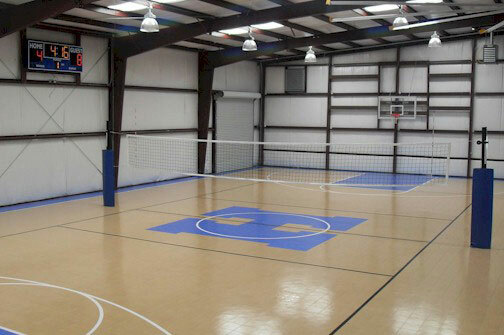 Request a quote on your commercial court project today. 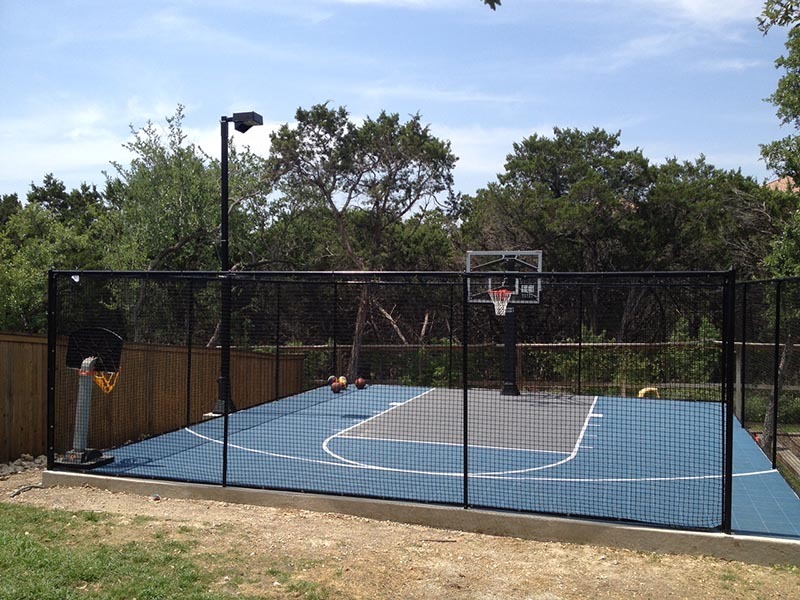 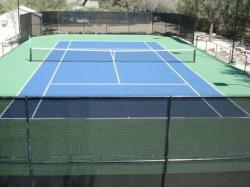 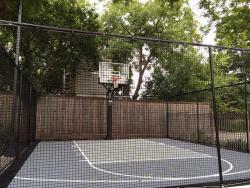 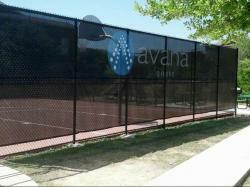 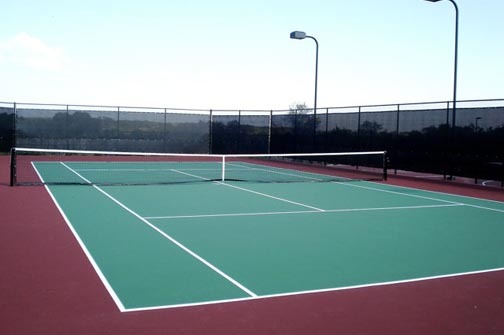 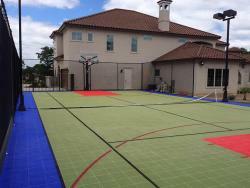 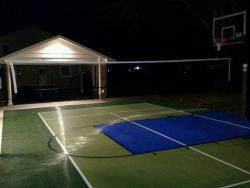 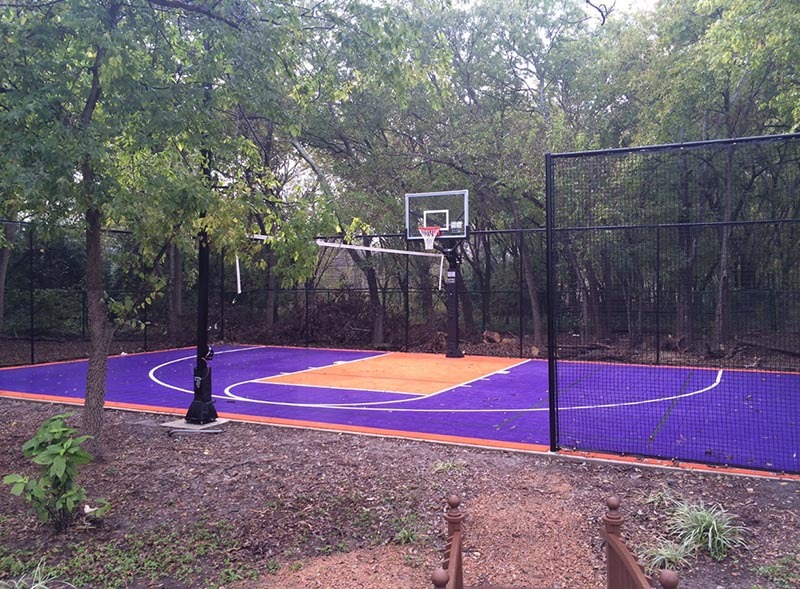 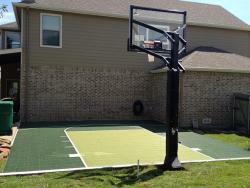 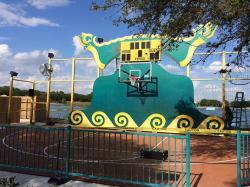 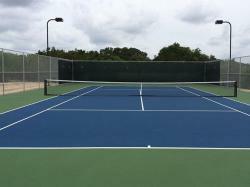 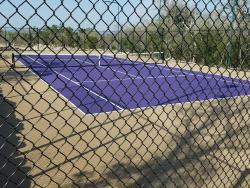 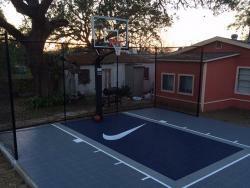 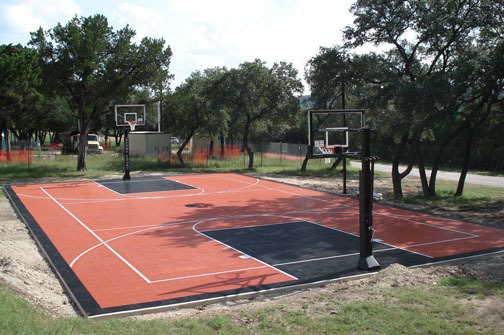 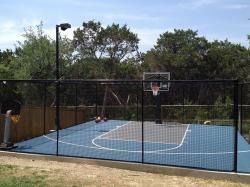 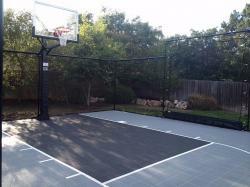 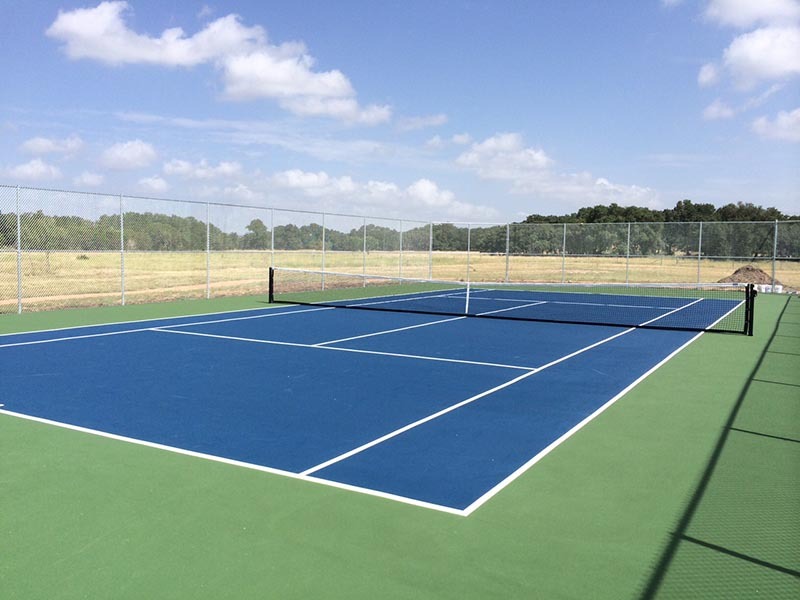 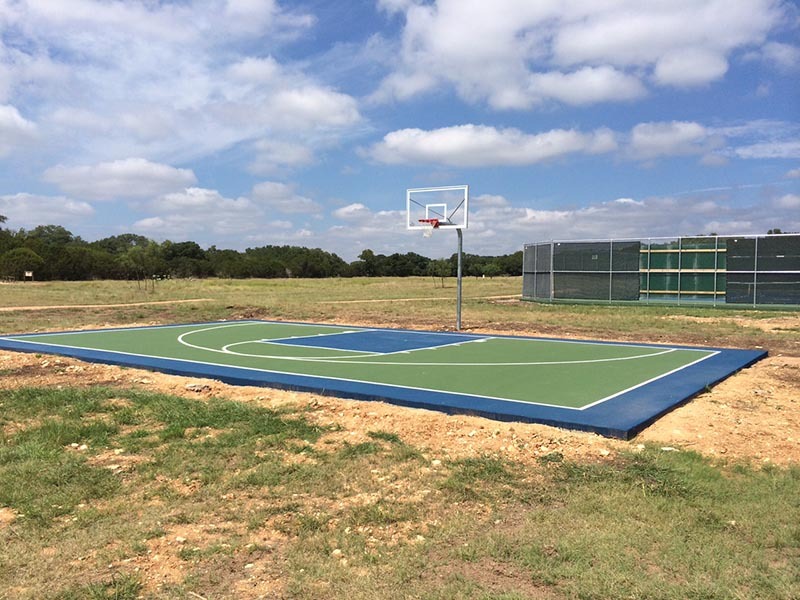 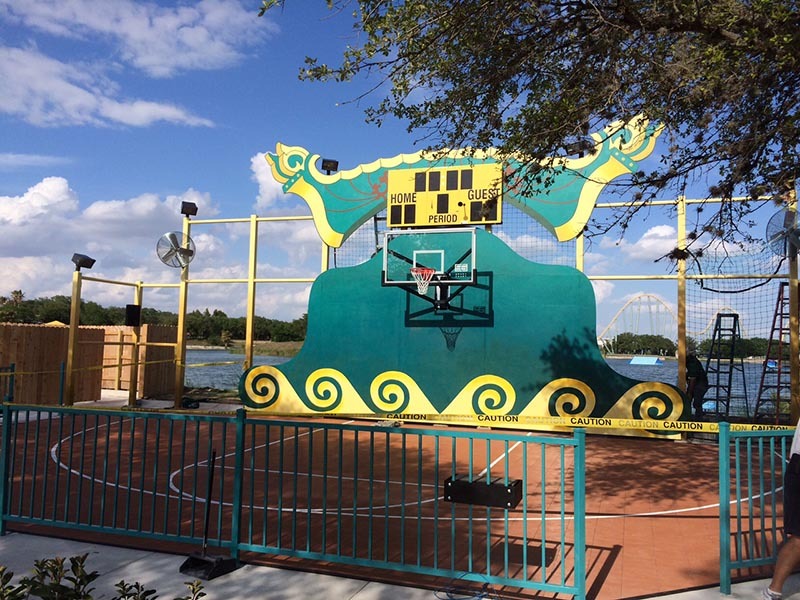 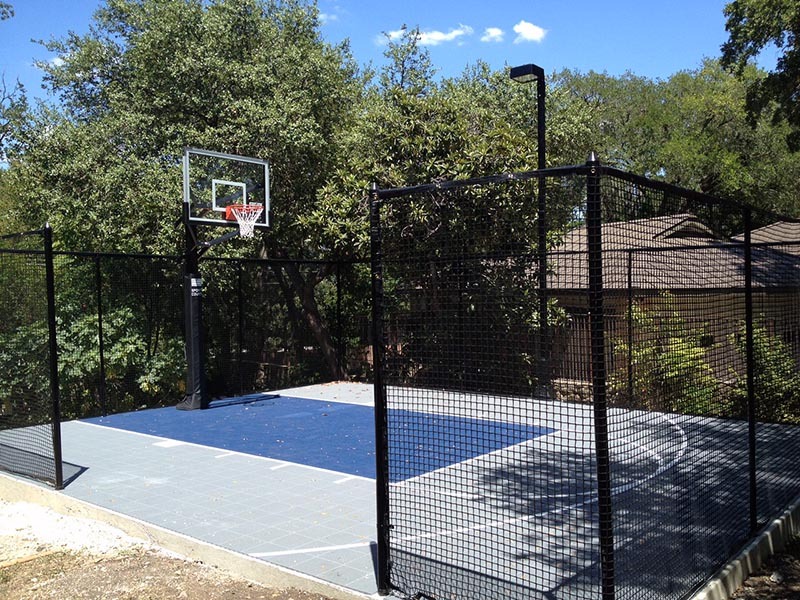 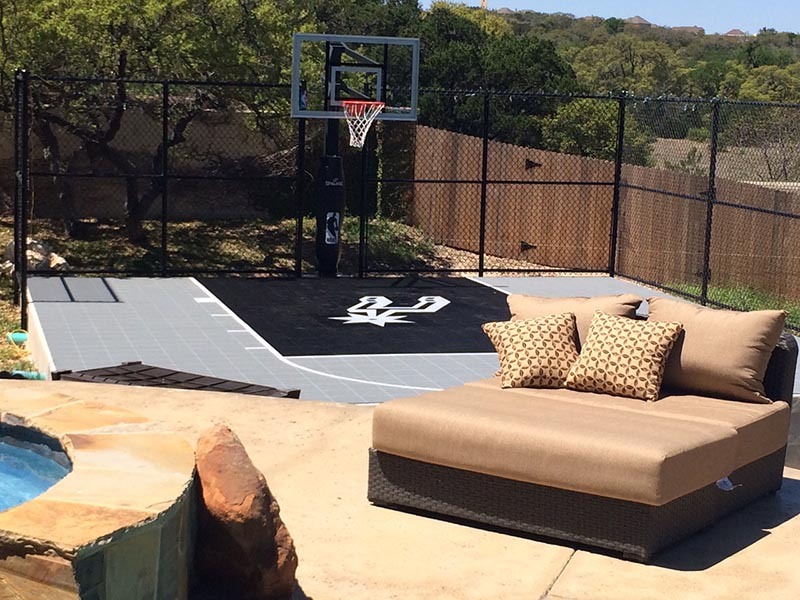 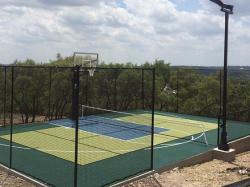 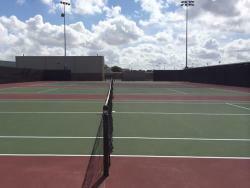 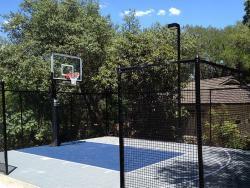 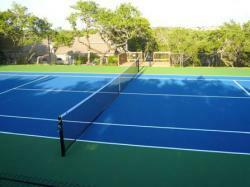 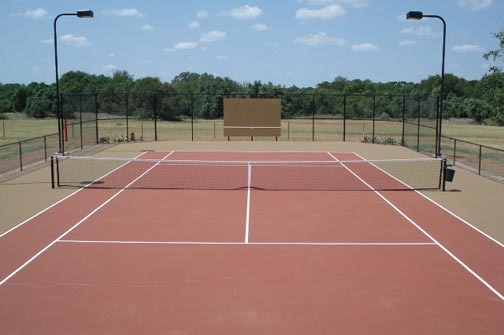 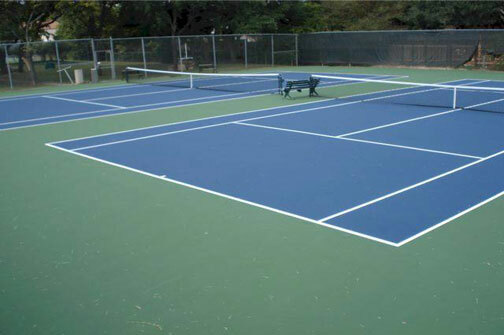 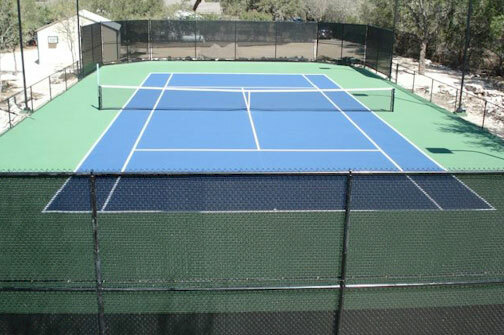 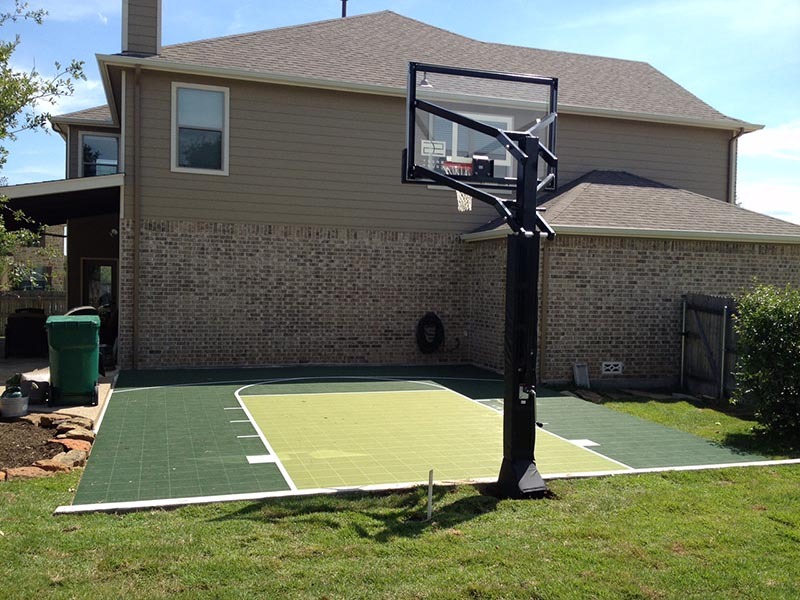 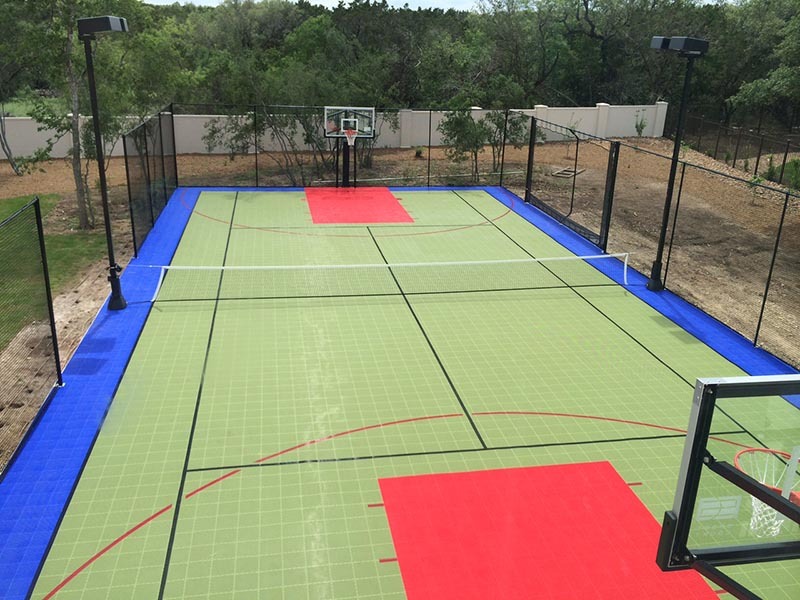 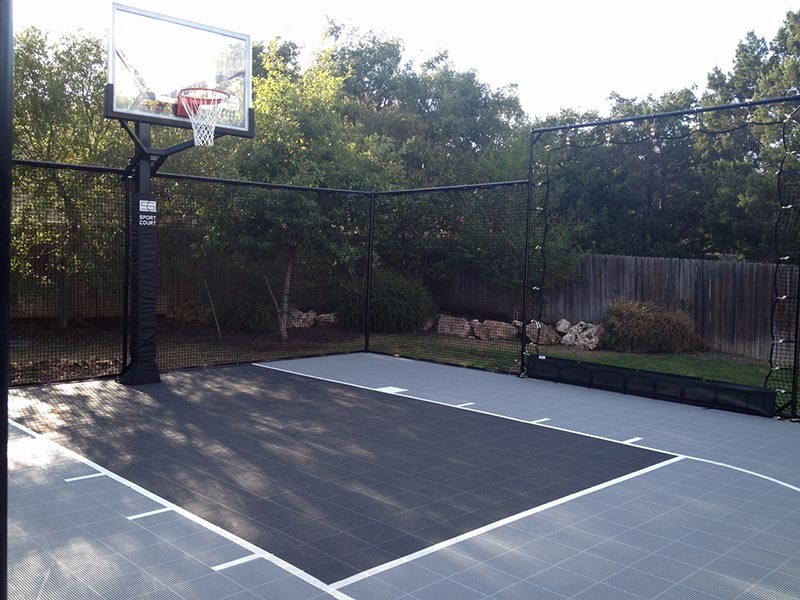 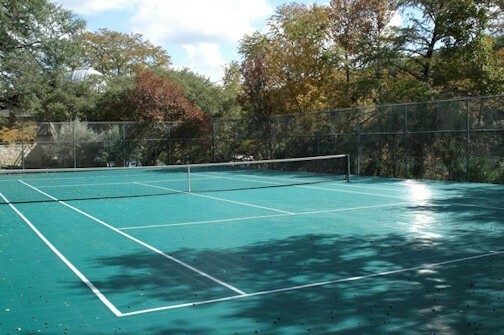 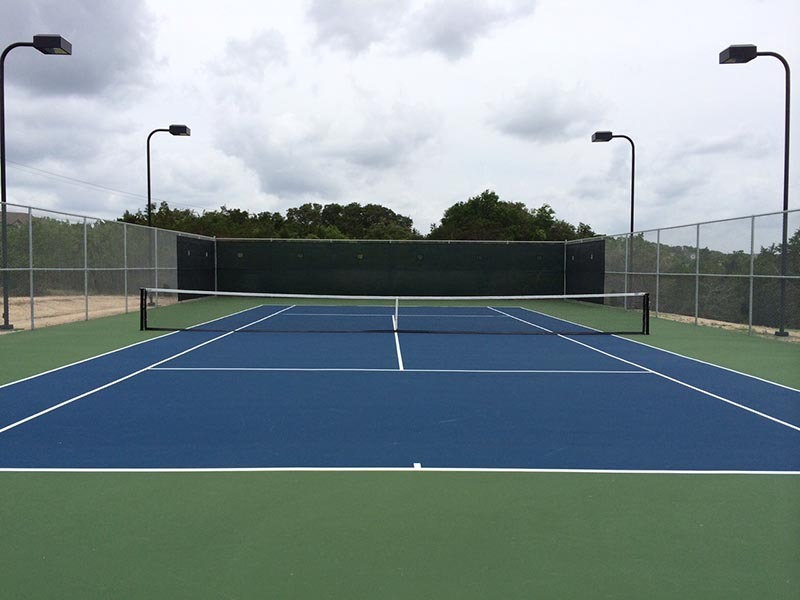 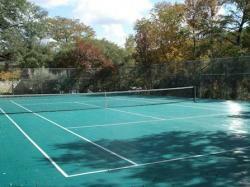 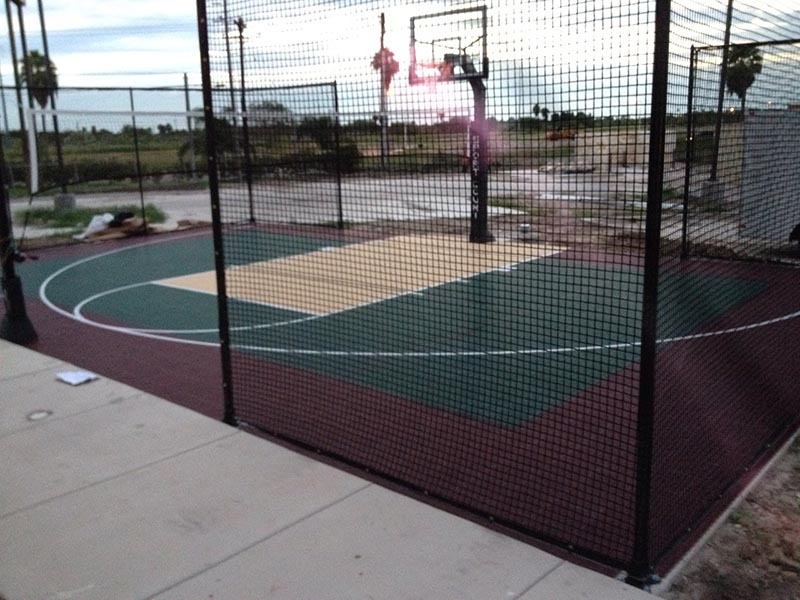 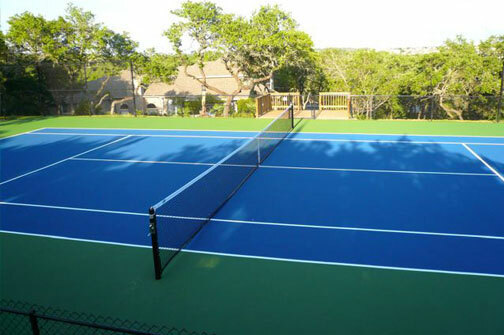 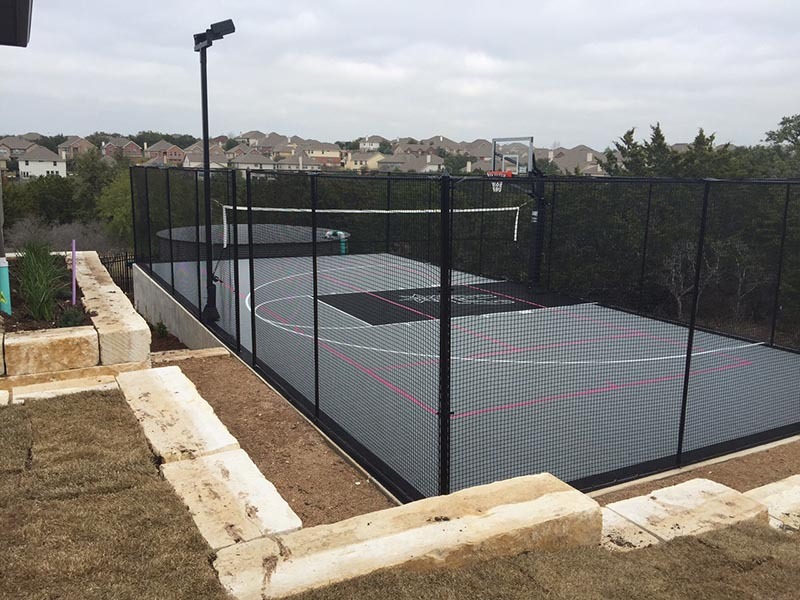 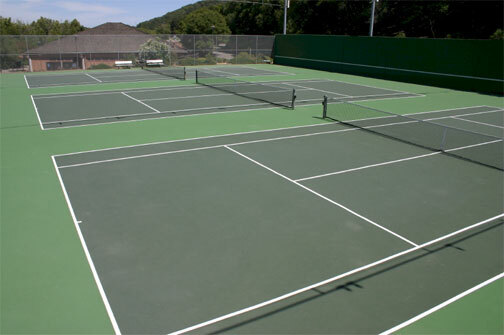 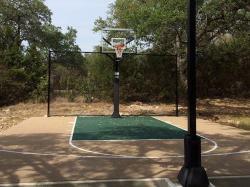 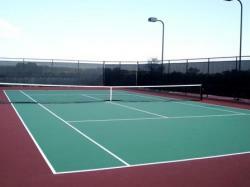 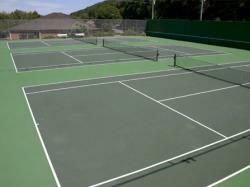 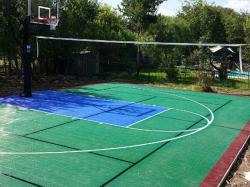 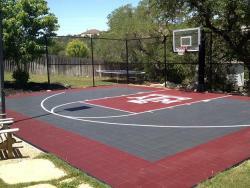 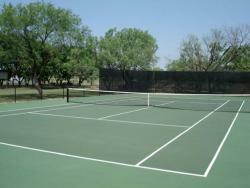 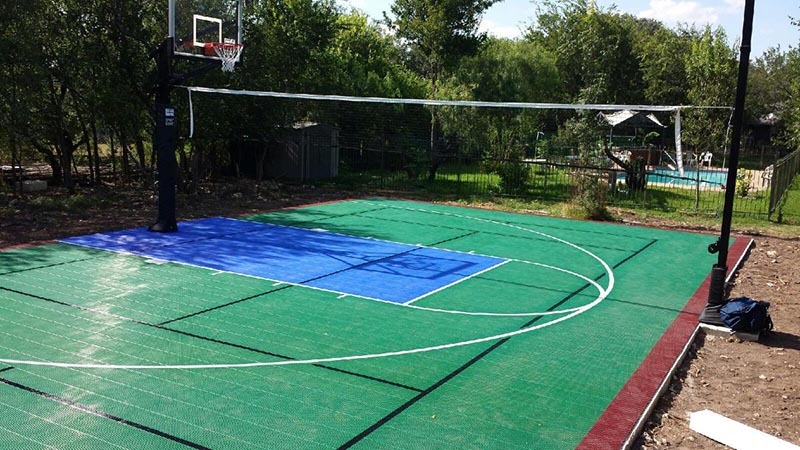 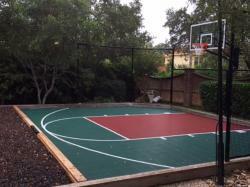 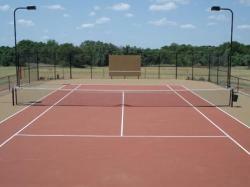 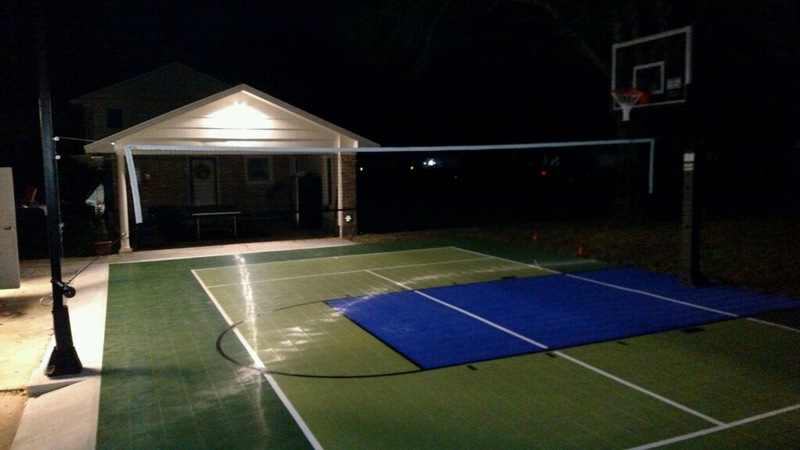 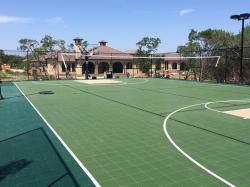 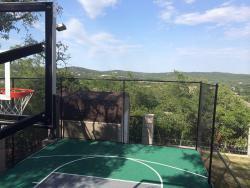 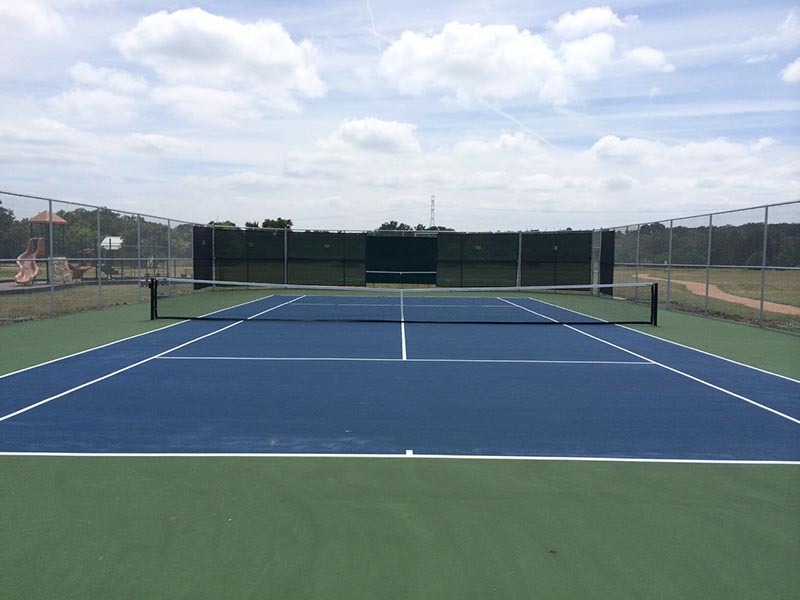 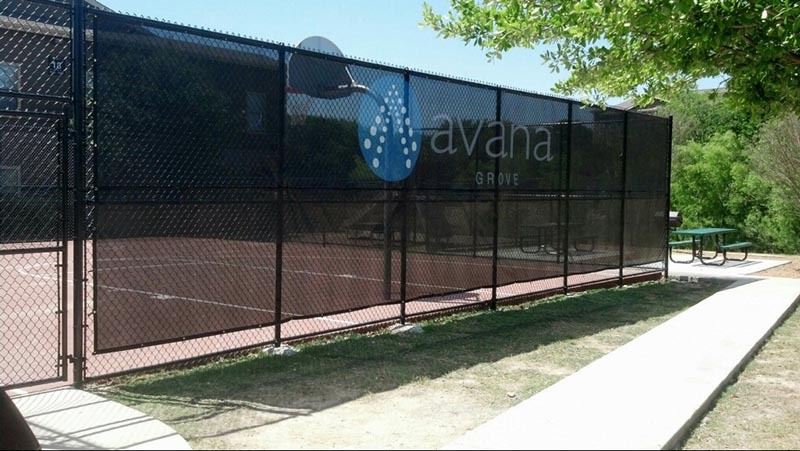 You will find that we will provide the best pricing on quality, durable courts. 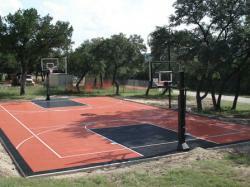 Call (210) 496-3399 or use our contact form. 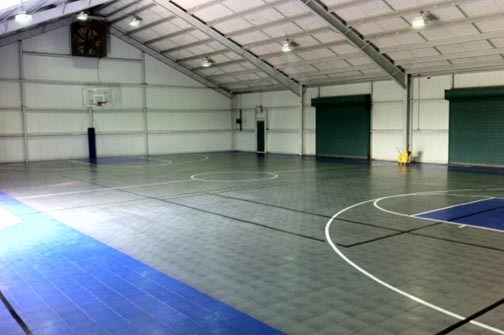 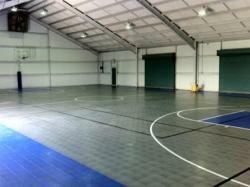 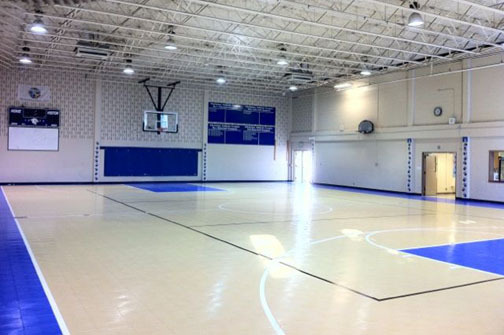 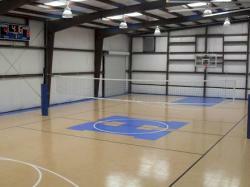 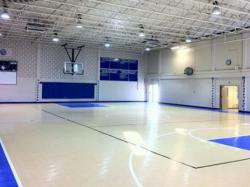 Ask Us About Indoor Court Flooring!